The Ministry for Culture and Heritage Te Manatū Taonga (MCH) is the public-service department of the New Zealand government charged with advising the government on policies and issues involving the arts, culture, built heritage, sport and recreation, and broadcasting sectors, and participating in functions that advance or promote those sectors. The Ministry of Cultural Affairs had been created in 1991; prior to this, the Department of Internal Affairs (DIA) had provided oversight and support for arts and culture functions. MCH was founded in 1999 with the merger of the former Ministry of Cultural Affairs and the history and heritage functions of the DIA, as well as some functions from the Department of Conservation and Ministry of Commerce. The purpose of the merger of functions and departments was to create a coherent, non-fragmented overview of the cultural and heritage sector, rather than spreading services and functions across several departments. Minister for Cultural Affairs Marie Hasler oversaw the transition of functions into the new agency. Opposition Labour MP Judith Tizard, who would later serve as an Associate Minister for the ministry in the Fifth Labour Government of New Zealand, accused the restructure of being "all hype, no substance," lacking the funding and human resource necessary to be effective. At the time of its establishment, the minister responsible for the ministry was the Minister for Culture and Heritage. This position is now titled the Minister for Arts, Culture and Heritage. The ministry advises the government on policies and issues relating to the arts, culture, heritage, sport and recreation, and broadcasting sectors. It funds 17 other agencies which also support these sectors, looks after war monuments and memorials and war graves throughout New Zealand, and is involved in a number of projects promoting and documenting New Zealand history. In 2014 the ministry became the guardian of the TVNZ Archive collection on behalf of the crown. It appointed Ngā Taonga Sound & Vision as the initial archive manager. The TVNZ Archive collection contains over 600,000 hours of television spanning almost 55 years of New Zealand's public television history. It includes iconic New Zealand content such as documentaries, dramas, sports programmes and every TVNZ news broadcast from December 1986 to 2014. In a 2014 briefing to Minister Craig Foss, the ministry noted that the long-term preservation of the TVNZ Archive collection did not align with the broadcaster's business needs and that transferring the collection to the crown would allow for the proper preservation of the collection. Both the ministry and TVNZ explicitly wanted to ensure the archive was preserved and that it was made increasingly available for re-use through online streaming and other means. David Green, a historian working for the ministry, discovered that significantly more New Zealand personnel were engaged in the Gallipoli Campaign than had been recorded in Fred Waite's official history, The New Zealanders at Gallipoli. Waite's number of some 8,500 men was corrected to approximately 13,000 in September 2013. Landmarks Whenua Tohunga is a partnership between MCH, the Department of Conservation Te Papa Atawhai, Heritage New Zealand Pouhere Taonga and the Ministry of Business, Innovation and Employment. The programme promotes and encourages people to visit New Zealand’s historically and culturally important places. Landmarks has been launched so far in Northland and Otago. Consultation responsibilities under many acts relating the Treaty of Waitangi settlements. The ministry serves three portfolios, three ministers and an associate minister. ^ a b "History of Government involvement in culture". Ministry for Culture and Heritage. Retrieved 26 February 2017. ^ a b c Marie Hasler (28 July 1999). "Cultural and Heritage sector – some relevant questions and answers" (Press release). Retrieved 26 February 2017. ^ Judith Tizard (28 July 1999). "All hype, no substance" (Press release). Retrieved 26 February 2017. ^ "Agencies we fund". Ministry for Culture and Heritage. Retrieved 26 February 2017. ^ "Our projects". Ministry for Culture and Heritage. Retrieved 26 February 2017. ^ "Websites we run". Ministry for Culture and Heritage. Retrieved 26 February 2017. ^ "Ngā Tapuwae Trails". Ngā Tapuwae Trails. Retrieved 24 February 2019. ^ "About WW100 | WW100 New Zealand". ww100.govt.nz. Retrieved 24 February 2019. ^ "Landmarks Whenua Tohunga reveals Northland's precious culture and heritage | Ministry for Culture and Heritage". mch.govt.nz. Retrieved 24 February 2019. ^ "New research: How many New Zealanders served on Gallipoli?". New Zealand Defence Force. 3 September 2013. Retrieved 10 December 2013. ^ "Landmarks Whenua Tohunga". Ministry for Culture and Heritage. Retrieved 15 January 2018. 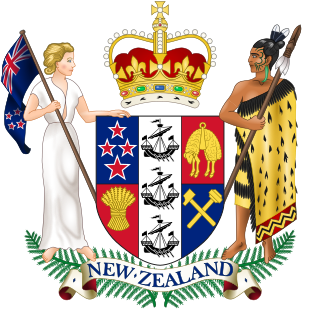 ^ "Search – New Zealand Legislation". legislation.govt.nz. 2011. Retrieved 30 October 2011. ^ "Canterbury Earthquake (Historic Places Act) Order 2011 (SR 2011/231) – New Zealand Legislation". legislation.govt.nz. 2011. Retrieved 30 October 2011. ^ "Television New Zealand (Separation of Transmission Business) Order 2003 (SR 2003/323) (as at 21 November 2003) – New Zealand Legislation". legislation.govt.nz. 2011. Retrieved 30 October 2011. ^ "Historic Places Trust Elections Regulations 1993 (SR 1993/302) (as at 31 January 2007) – New Zealand Legislation". legislation.govt.nz. 2011. Retrieved 30 October 2011. ^ "Broadcasting Act 1989 No 25 (as at 01 July 2011), Public Act – New Zealand Legislation". legislation.govt.nz. 2011. Retrieved 30 October 2011. ^ "Television New Zealand Act 2003 No 1 (as at 23 July 2011), Public Act – New Zealand Legislation". legislation.govt.nz. 2011. Retrieved 30 October 2011. ^ "Protected Objects Act 1975 No 41 (as at 01 April 2011), Public Act – New Zealand Legislation". legislation.govt.nz. 2011. Retrieved 30 October 2011. ^ "Historic Places Act 1993 No 38 (as at 01 April 2011), Public Act – New Zealand Legislation". legislation.govt.nz. 2011. Retrieved 30 October 2011. ^ "National War Memorial Act 1992 No 20 (as at 01 October 2000), Public Act – New Zealand Legislation". legislation.govt.nz. 2011. Retrieved 30 October 2011. ^ "Radio New Zealand Act 1995 No 52 (as at 25 January 2005), Public Act – New Zealand Legislation". legislation.govt.nz. 2011. Retrieved 30 October 2011. ^ "Anzac Day Act 1966 No 44 (as at 01 April 2004), Public Act – New Zealand Legislation". legislation.govt.nz. 2011. Retrieved 30 October 2011. ^ a b "New Zealand Film Commission Act 1978 No 61 (as at 25 January 2005), Public Act – New Zealand Legislation". legislation.govt.nz. 2011. Retrieved 30 October 2011. ^ "Flags, Emblems, and Names Protection Act 1981 No 47 (as at 07 July 2010), Public Act – New Zealand Legislation". legislation.govt.nz. 2011. Retrieved 30 October 2011. ^ "Archives, Culture, and Heritage Reform Act 2000 No 32 (as at 01 November 2006), Public Act – New Zealand Legislation". legislation.govt.nz. 2011. Retrieved 30 October 2011. ^ "Museum of New Zealand Te Papa Tongarewa Act 1992 No 19 (as at 25 January 2005), Public Act – New Zealand Legislation". legislation.govt.nz. 2011. Retrieved 30 October 2011. ^ "Arts Council of New Zealand Toi Aotearoa Act 1994 No 19 (as at 01 January 2009), Public Act – New Zealand Legislation". legislation.govt.nz. 2011. Retrieved 30 October 2011. ^ "Port Nicholson Block (Taranaki Whānui ki Te Upoko o Te Ika) Claims Settlement Act 2009 No 26, Public Act – New Zealand Legislation". legislation.govt.nz. 2011. Retrieved 30 October 2011. ^ "Ngaa Rauru Kiitahi Claims Settlement Act 2005 No 84 (as at 23 May 2008), Public Act – New Zealand Legislation". legislation.govt.nz. 2011. Retrieved 30 October 2011. ^ "Arts, Culture and Heritage". Arts, Culture and Heritage. Tino rangatiratanga is a Māori language term that can be interpreted as 'absolute sovereignty'. It appears in the Māori version of the Treaty of Waitangi, signed by the British Crown and Māori chiefs (rangatira) in 1840. It has become one of the most contentious phrases in retrospective analyses of the Treaty, amid debate surrounding the obligations agreed to by each signatory. The phrase features in current historical and political discourse on race relations in New Zealand, and is widely used by Māori advocacy groups. A flag based on tino rangatiratanga was designed in 1990, and has become accepted as a national flag for Māori groups across New Zealand. Christchurch Girls' High School in Christchurch, New Zealand, was established in 1877 and is the second oldest girls' secondary school in the country. The Tohunga Suppression Act 1907 was an Act of the New Zealand Parliament aimed at replacing tohunga as traditional Māori healers with "modern" medicine. Ngā Taonga Sound & Vision is the operating name for The New Zealand Archive of Film, Television and Sound Ngā Taonga Whitiāhua Me Ngā Taonga Kōrero. The archive was launched on 31 July 2014, following the completion of a three-year process whereby the New Zealand Film Archive "absorbed" the collections and operations of the RNZ Sound Archives Ngā Taonga Kōrero in 2012 and the Television New Zealand Archive in 2014. Te Ture Whenua Māori Act 1993 is a statute of the Parliament of New Zealand to "reform the laws relating to Māori land in accordance with the principles set out in the Preamble". These principles "reaffirm" the Treaty of Waitangi "relationship between the Māori people and the Crown" and "recognise that land is taonga tuku iho of special significance to Māori people". To that end, the principles "promote the retention of ... land in the hands of its owners, their whanau, and their hapu, and to protect wahi tapu". Further, they "facilitate the occupation, development, and utilisation of that land for the benefit of its owners, their whanau, and their hapu". Te Kawerau ā Maki, Te Kawerau a Maki, Te Kawerau-ā-Maki or Te Kawerau is a Māori iwi from the Auckland Region of New Zealand. The New Zealand Māori Arts and Crafts Institute (NZMACI) opened in 1963 in Rotorua, New Zealand due to the impending threat of the loss of traditional Māori arts. In 1926 a Māori Arts and Crafts school had been established in Rotorua by Sir Āpirana Ngata, and the new school continued the tradition in a location well-established for traditional Māori arts and crafts. The location of school at Whakarewarewa enabled easy access to the lucrative tourist market, which continues to be a substantial source of sales. The Minister for Arts, Culture and Heritage is a minister in the government of New Zealand with responsibility for arts, culture, heritage, and broadcasting, and is in charge of the Ministry for Culture and Heritage. The position was established in 1975 as Minister for the Arts. Surveying in New Zealand began with the arrival of Abel Tasman in the mid 17th century. Cartography and surveying have developed in incremental steps since that time till the integration of New Zealand into a global system based on GPS and the New Zealand Geodetic Datum 2000.